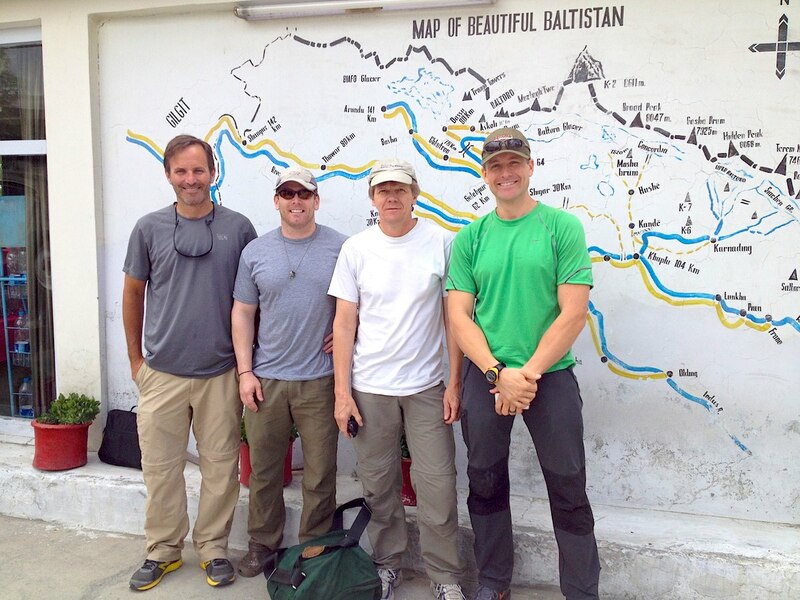 Field Touring Alpine Blog: Broad Peak 2013 - Skardu! These days spent working together to get ready to head to the mountains are important ones for the team to begin to come together and learn how they can rely on each other and what special skills they each can contribute. As they move from the relative security of the streets of Skardu to the steep slopes of the 12th highest peak on the planet they will need to begin to rely on each other more and more. Learning personalities and demeanor will enable them to cooperate better and keep a watchful eye out for changes that might indicate dehydration, hypothermia or altitude illness. Every meal and every tent set up together improves the safety and chances for success. The team is working to get ready to leave tomorrow morning for Askole but they will not rush and if they need another day, to accomplish all of the important tasks, this will only strengthen them as a group. 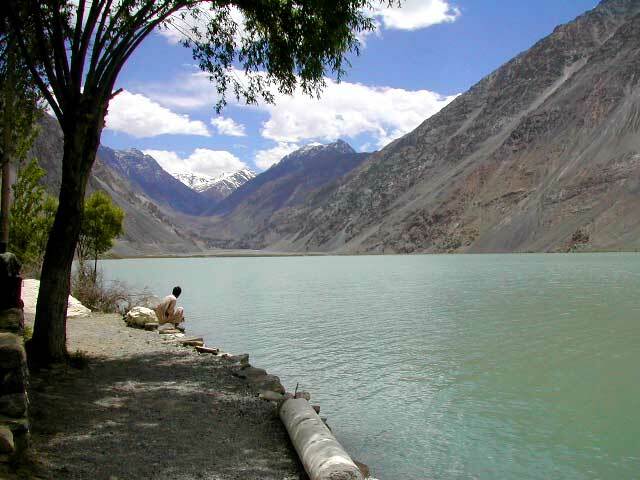 Our teams often head up to Satpara lake for a walk and a tea house break and this is a nice chance to gain some altitude as the lake is situated at approximately 2,500m / 8,200ft. The days ahead will include one of the most rugged drives we know of for approaches to 8000m climbs. Dusty plains, rocky passes and river crossings abound. 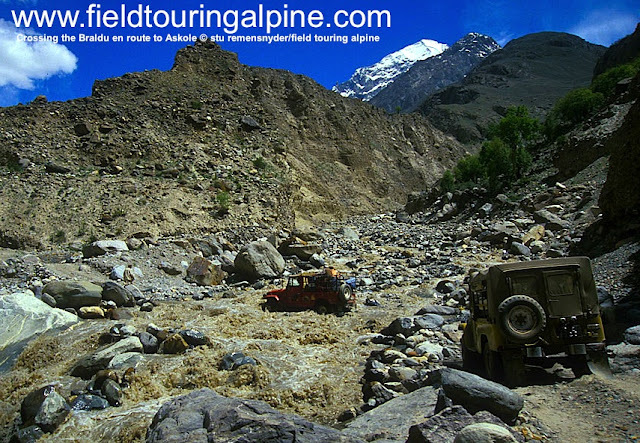 While the Karakoram highway may have seemed a rough road, the team will shortly find that was smooth in comparison. Ron has been to K2 in 2009 so knows what is ahead but Brian, John and Scott are in for a treat! We will have another update tomorrow when we know the team's departure schedule and will be updating every few days the rest of the summer along with images from past trips, audio dispatches from the team in the field and we hope you enjoy the vicarious experience!